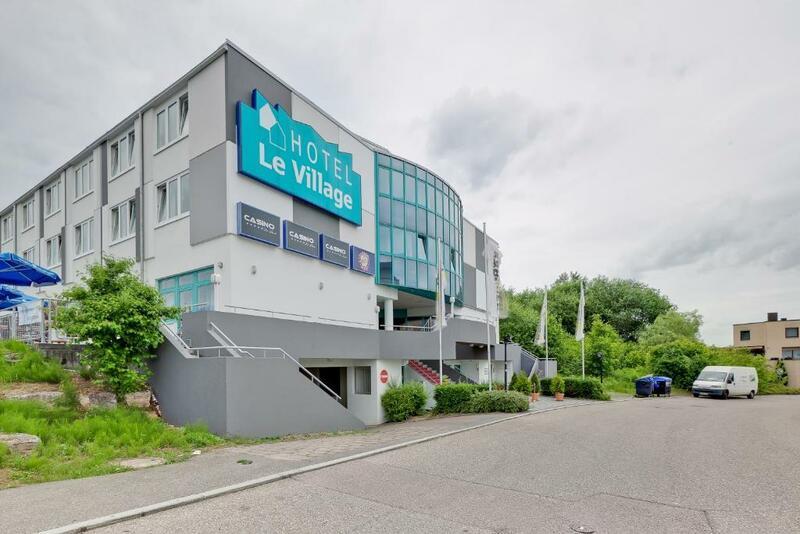 Lock in a great price for Hotel Le Village – rated 8 by recent guests! The room and the breakfast were great. The bed was reasonably comfortable to an American, but we like softer beds, so take that as you may. The space was great, and the check in was easy. The parking was also nice. This Hotel is in a very Quite place and a lot of restaurants are in near .We had a car and there was plenty of place in hotels parking and we were quite satisfied of the breakfast and the money we paid to the Room . The breakfast is very nice with a rather wide range of choices. The rooms are comfortable - the bathroom spacious and very good to relax after a long drive. The underground parking on the spot is very convenient too. Breakfast was surprisingly good. Plenty of parking in the hotel garage available. The hotel was very good. It had off the street parking for free, which is always nice in Europe. It was a 15 minute walk from the train station so getting downtown was easy. The breakfast in the morning was fresh and tasted great. The staff was very friendly. The parking was easy. The room was clean. Breakfast was good. Everything was OK. Breakfast was good and had a big choice of options. Room quiet and warm. 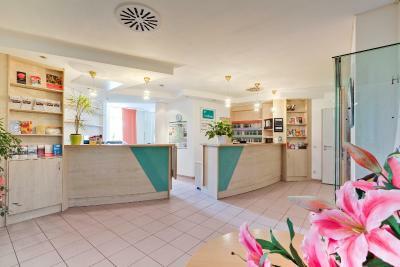 Located in Winnenden, at the gateway to the Swabian metropolis of Stuttgart, you find the Hotel Le Village. Within this town, which is renowned for its fine wine and industry, the hotel offers a perfect combination of business facilities and comfortable accommodations with its modern, cozy guest rooms. 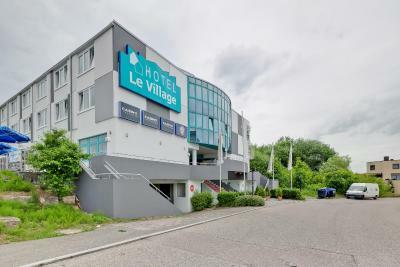 When would you like to stay at Hotel Le Village? Soundproofed room comes with a flat-screen TV and private bathroom with hairdryer. Soundproofed room comes with a flat-screen TV, and private bathroom with hairdryer. 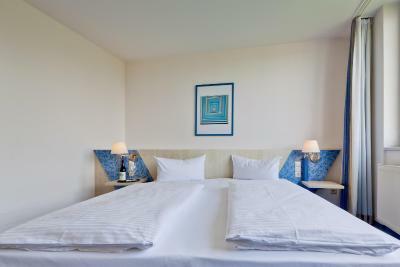 The beds consist of a double bed and 2 single beds. Please note this room may also come with 1 double bed and 2 extra beds. This room comes with either 1 double bed and 2 single beds, or 4 single beds. Children's cots/cribs are available on request. Soundproofed room comes with a flat-screen TV and private bathroom with hairdryer, shower and bathtub, as well as a separate toilet. Children's cots/cribs are available on request. Please note that in this room category pets are not allowed. 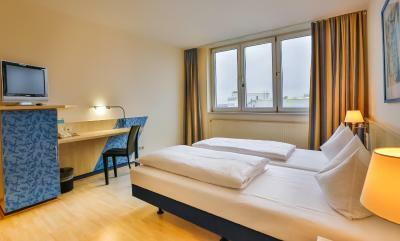 Soundproofed room comes with a flat-screen TV, air conditioning and a private bathroom with a hairdryer. Please note that in this room category pets are not allowed. 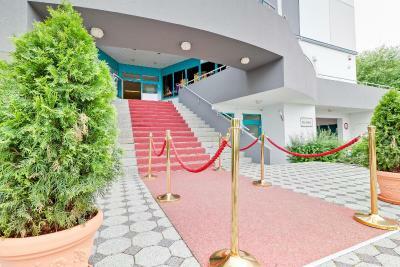 Soundproofed room comes with a flat-screen TV, air conditioning, a balcony and a private bathroom with a hairdryer. Please note that in this room category pets are not allowed. House Rules Hotel Le Village takes special requests – add in the next step! Hotel Le Village accepts these cards and reserves the right to temporarily hold an amount prior to arrival. Please note that extra beds must be requested by guests and confirmed by the hotel in advance. Please note that pets are not allowed in all room categories, guests are kindly asked to read the room description for further details. The GPS took me a weird way, so it took me longer than expected to get to the hotel. I would strongly urge anyone to look at a map, and make sure the map is taking you the right direction. This isn't anything the hotel can control, but a pain regardless. Super friendly and service focused staff. McDonalds and Supermarkrt right around the corner. Very friendly staff. Good breakfast. Room was stuffy and pillows were flat (but this seemed to be the trend for all four hotels we stayed at while in Germany. The hotel was way more outdated than expected and most of the surrounding restaurants in the area were closed during the week. 20 minute brisk walk to the nearest train station. I wasn't a big fan of the breakfast, the bread was a bit overbaked and only one kind of danish. The room is clean but it has a damp smell from the bathroom. Bed was extremely hard, only one tiny pillow.